a lovely little life: New appliances! 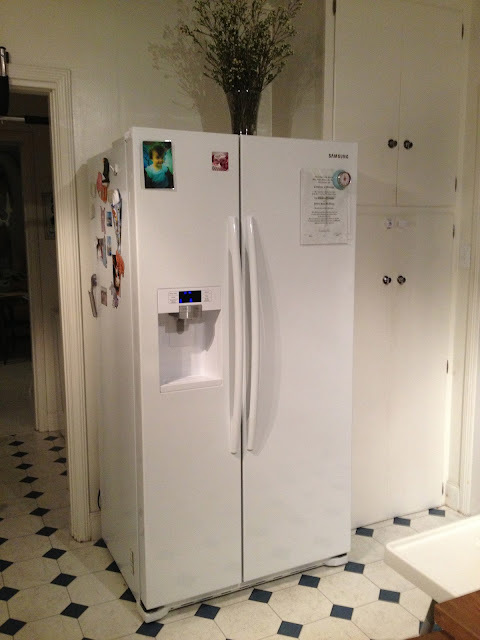 Part deux of our March home improvements includes new kitchen appliances! Home improvements are always a domino effect. We had the plumbers come in to fix a drip in the tub before the resurfacers came and while they were there, they looked at our other plumbing to make sure we were getting the most out of our $75 house call. They said our dishwasher (which came with the house) was on it's last legs and we should consider a new one. We kind of figured that because it was doing a worse and worse job cleaning the dishes with every wash. We decided to start looking for a new dishwasher to keep an eye out for really good sales. Just so happened that the day we went to Best Buy to browse (after me doing hours of obsessive appliance research on the internet) they were having a really great kitchen appliances sale. 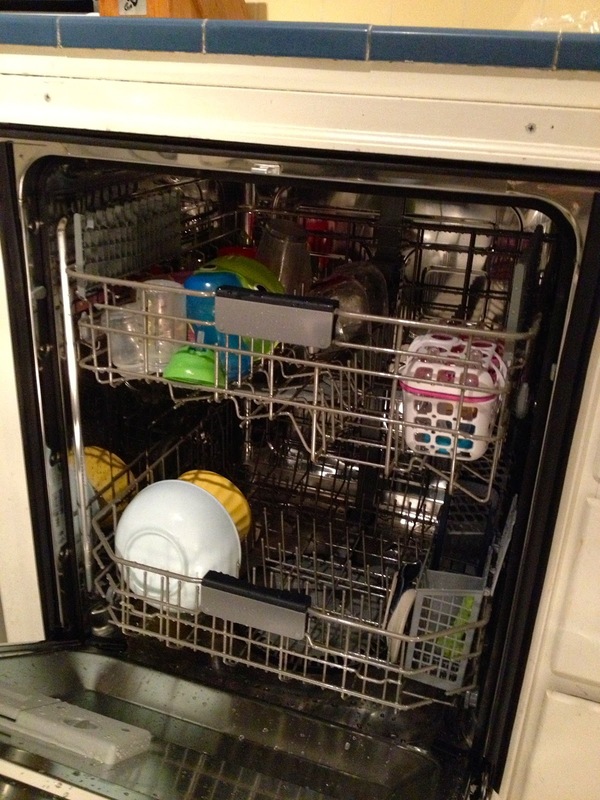 We found the dishwasher of my dreams (you don't dream about dishwashers? Weirdo.) and it was on sale for $165 less than the normal price. Sold. 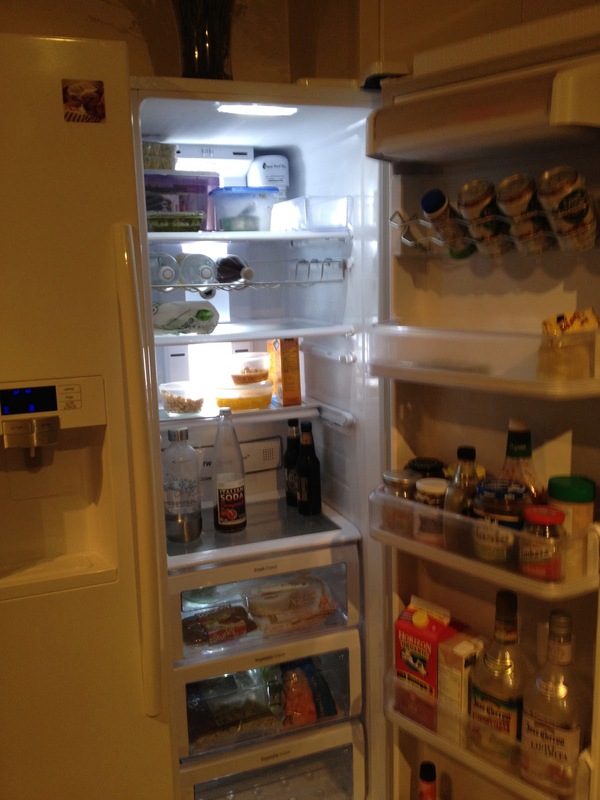 Then we started browsing the refrigerators because they were so pretty. The refrigerator we currently had that came with the house worked fine, but the part in the water/ice dispenser in the door cracked and a rust problem ensued. It got a little out of control and rust dripped down the door. Oopsies. It's supposedly a reasonable fix to sandpaper out the rust, buy a new part for the dispenser, and spray paint the door with appliance spray paint, but neither of us felt up to the challenge, plus having to lug it outside, store all the food somewhere for a day, and then lug it back in made all those shiny new refrigerators in Best Buy VERY tempting. Not the most responsible and frugal decision we have made, but work is going really well for Jeff right now and we felt like splurging. GET OFF MY BACK! Anyways, we found an awesome Samsung refrigerator with LED lighting powered by mini magical unicorns that live in the refrigerator that was also on super sale PLUS I found it online for even less from a competitor which Best Buy honored the price of giving us the additional discount. Only problem, we went home to measure and realized that we needed a counter-depth refrigerator which guess what, surprise surprise, are a lot more expensive than normal and larger fridges. Bah! The same Samsung we wanted came in the counter-depth so it was an easy switch, it just cost a bit more (still got the price match discount though!). It's a vintage kitchen with old cabinets obviously, so the brand new modern dishwasher sticks out a bit, The black control touch panel is supposed to be hidden but with our short cabinets it's visible. Oh well. Stainless steel inside with adjustable heights on the rack so we can now properly wash all the tall beer glasses and travel mugs. LED lighting! It's not just me, everyone is impressed with the lighting when they open the door. Sigh. I love new appliances. Our range and microwave are still in good working condition so no plans to upgrade those for the time being. 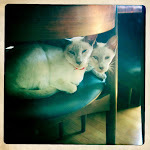 I think next on our wish list will be resurfacing the kitchen tile (we're resurfacing addicts!) and doing something about that awful vinyl floor.